We are located centrally in the heart of this beautiful Dorset town and occupy what was formerly the Almonry belonging to the Abbey, now a grade II listed building. 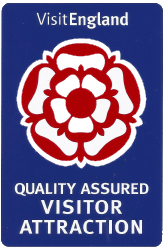 As a registered charity we have independent status and we were the first volunteer-run museum in Dorset to be awarded full Accreditation. Admission is now FREE to all, although donations are very welcome. Stories to ignite the imaginaton. Out of hours visits may also be arranged. We have an “earlybird scheme” where families with children on the autism spectrum can arrange to visit the Museum between 8.30-10.30 am on their own terms. There is a social narrative to assist with preparation. 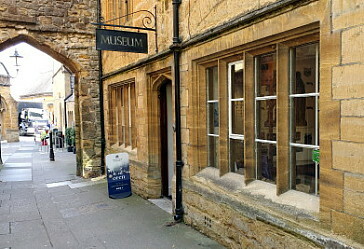 School visits are generally best on Mondays when the museum is closed to the general public, and should be staggered in groups of not more than 20; contact info@sherbornemuseum.co.uk. Our exciting loans boxes are also available free for up to half a term. Queries and Donations of items. 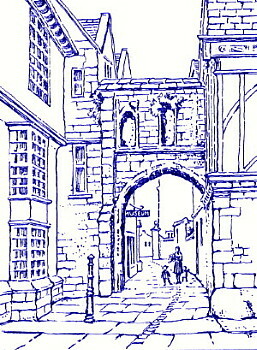 We welcome an active interest in the collections and encourage research into Sherborne’s rich heritage. Please contact us to arrange mutually convenient appointments - see also our Research Policy and arrangements for the donation of items. We are supported by our Members' Association, West Dorset District Council, Dorset County Council, Sherborne Town Council, the former MLA and the current Arts Council England to all of whom we extend our appreciation and gratitude.